Do not allow fear to stop you from entering the exciting universe of vampires and accessing the 'Crypt Roulette' where you can pick up great wins. 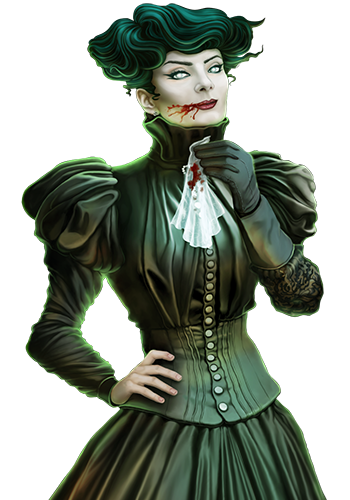 Win incredible prizes with the special 'Vampire Attack' and 'Bloodthirsty' feature. 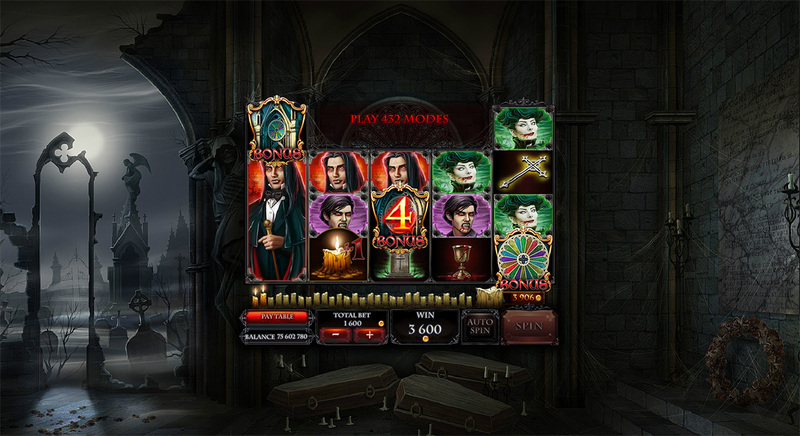 Enter the 'Crypt Roulette' and win multipliers, coins, extra turns and lots more. 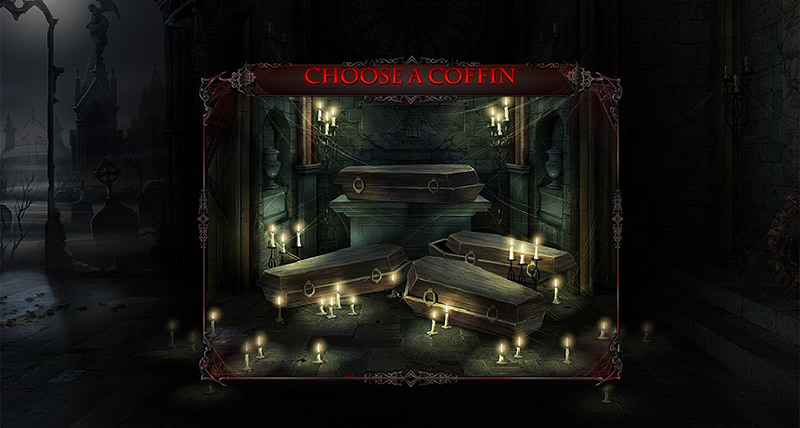 Light all the candles and enjoy up to 18 free spins in the 'Coffins Minigame'. When one vampire occupies the first reel, the 'Attack of the Vampire' feature begins. The vampire from the first reel will convert all the other vampires into himself, making the Vampire symbols the same. 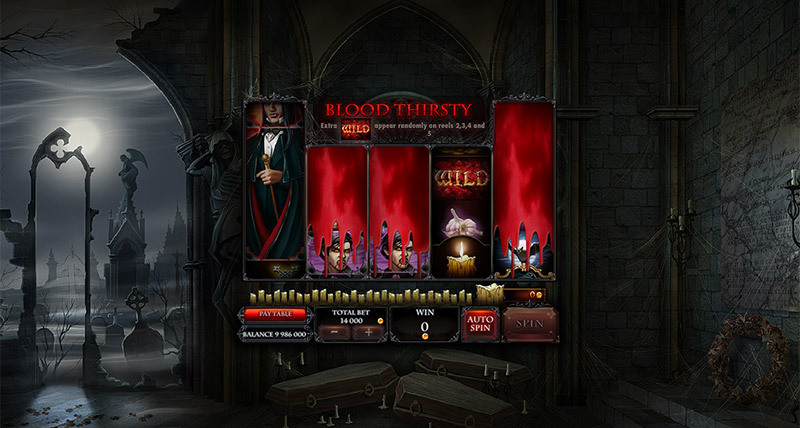 The 'Blood Lust' feature can be activated during any spin in the game. While the reels are spinning, random positions on reels 2, 3, 4 and 5 can be replaced by wilds. The number of wilds can vary between 1 and 8. 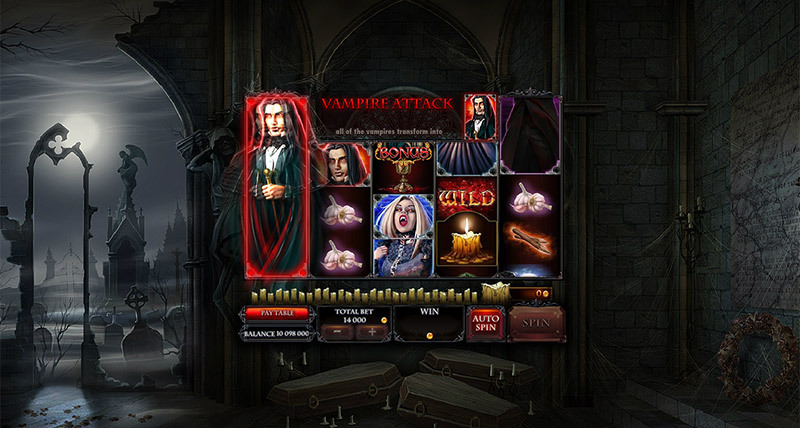 Select a coffin to reveal the vampire with whom you will play during the 'Free Spins Bonus Feature'. 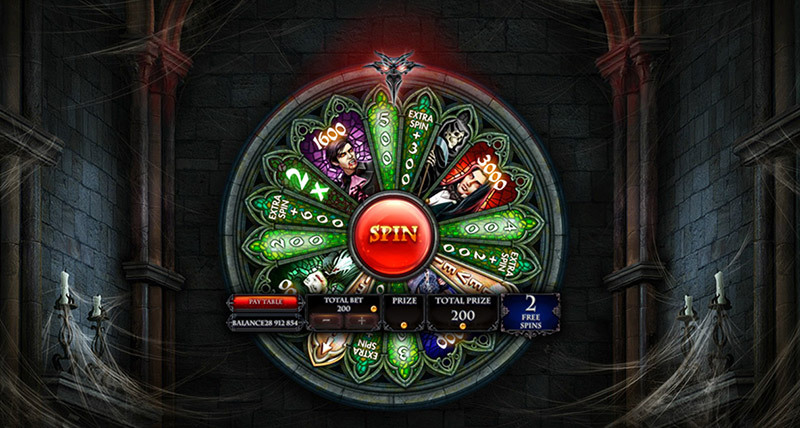 The number of initial spins will depend on the vampire you obtain in the 'Coffin Minigame'. The bonus on the third reel indicates the initial number of spins in the roulette phase. The prizes can be coins, extra turns, multipliers, level increases and skulls.